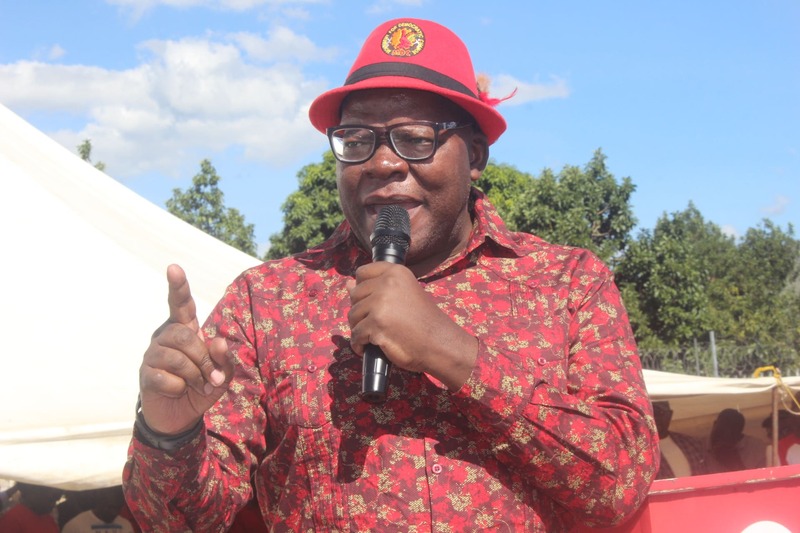 Opposition Movement for Democratic Change (MDC) deputy chairperson Tendai Biti has called on Local Government, Public Works and National Housing Minister July Moyo to resign over government’s poor disaster preparedness system. Cyclone Idai ravaged Manicaland province over the weekend claiming over 100 lives while leaving a trail of destruction to property and infrastructure. Writing on his Twitter account on Wednesday morning, the Harare East legislator called on Moyo to quit for failing to prepare for the disaster that was coming. “Natural disasters are unavoidable but their impact and damage can be limited. It is a question of disaster management that includes preparedness, response, mitigation and recovery. Regime not ready for Cyclone Idai. Schools and roads ought to have been shut. This one (July Moyo) shoud resign.” Biti wrote on his micro-blog Twitter on Wednesday morning. Biti’s party boss Nelson Chamisa, who toured Cyclone Idai wrecked places in Manicaland on Monday also raised concern over government’s failure to put in place mechanisms that swiftly respond to disaster a plan he charged would save lives in times of crisis. Reached for a comment, Information, Media and Broadcasting Services Deputy Minister Energy Mutodi said Zimbabwe is not the first country to go through disasters. “Is it the first country (Zimbabwe) to be hit by a disaster? Do ministers resign because of a disaster? Biti is obsessed with attention seeking behaviour. He should be ignored,” Mutodi said. Further asked on the government’s disaster preparedness mechanism, Mutodi was evasive charging that there is no country that can prepare for a disaster. “There is no country that is prepared for disasters because disasters come as a surprise. These disaster, they occur without anyone knowing. There was cholera outbreak, there was disaster on the Kadoma Mine shafts, and then there is cyclone. There are advanced disasters everywhere. Ministers do not resign because of that,” he said.